If you have ever been wholeheartedly dedicated to a weight-loss plan, you know the inevitable frustration of hitting a plateau. Plateaus are the point when your body's metabolism makes a transition to accommodate your new, lower weight. It is possible to overcome a plateau, but the key is to stay motivated and rally your efforts. Plateaus occur when an individual who has steadily seen results over an extended period of time experiences a stall in their weight loss for a minimum period of four weeks. Understand that four weeks is generally the minimum amount of time with no results. Plateaus can last longer if the individual does not make necessary changes to their weight loss plan to break the plateau. It is a normal part of the weight-loss process to experience plateaus. Plateaus may occur multiple times over the course of any weight-loss plan, especially if the individual is looking to lose a lot of weight. Although most people commonly believe that overweight individuals have a slower metabolism, this is simply not true. 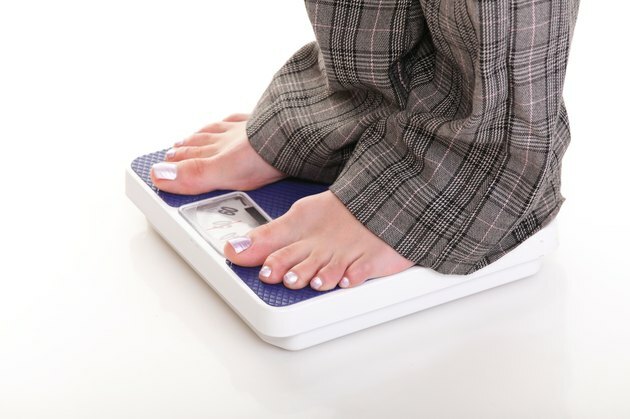 An overweight individual's body actually operates at a higher metabolic rate, therefore when you begin to lose weight your metabolism must slow to accommodate the losses. It is at this point that your body stalls your weight loss. Now that your body is working at a lower metabolic rate, you have to increase the burn or decrease the calories. Most weight-loss regimens already recommend a low calorie intake, so remember consuming too few calories can impede your efforts as much as too many. Increasing the intensity of physical activity and how often you exercise can help push you past a plateau. Your health care provider can provide the best personalized advice when making changes to your diet and exercise plan. Staying motivated is the most difficult part of successfully overcoming a plateau. It is often very difficult to keep pushing yourself toward your goal when the results are not visible. Whatever you do, do not give up the new healthy habits you have achieved. Eating right and exercising is good for your health and will, at the very least, allow you to maintain the weight loss you have already achieved.